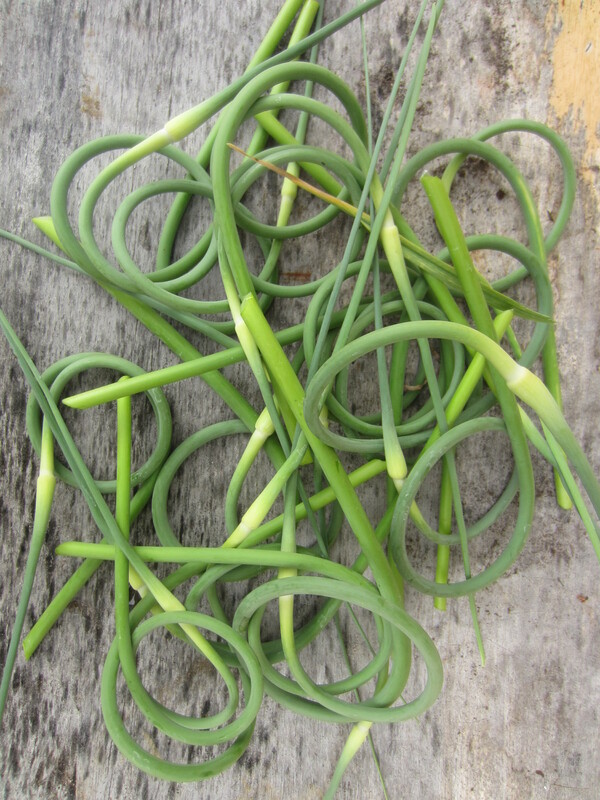 Garlic scapes are probably the most fun harvest of the year. (As soulemama demonstrates, you can wear them as you work). They are certainly a bonus to growing garlic. Does anyone else find that they creep up on you? One day, I wonder – where are the scapes already? And the next thing I know, the curls are practically dancing off the plants. Last year I simply used them in my cooking to accompany garlic. This year I was a bit more ambitious. 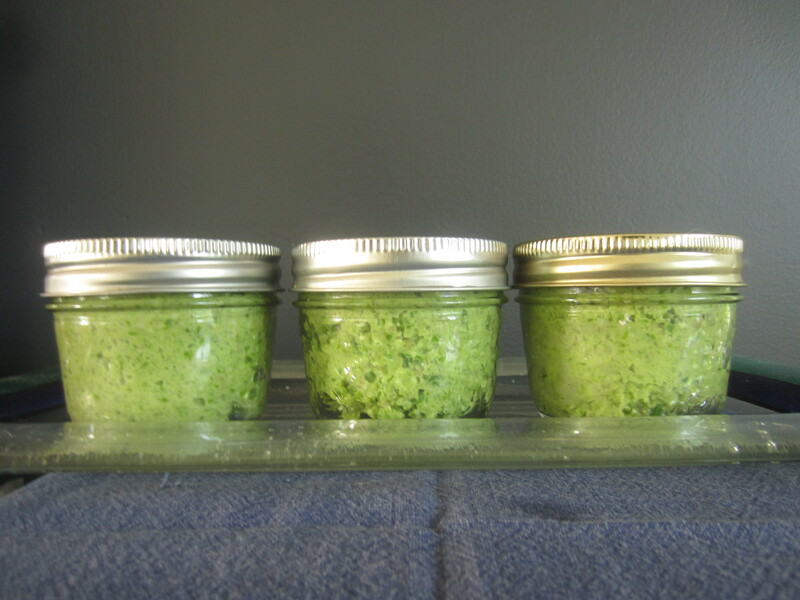 I put up six or so jars of garlic scape pesto and made two jars of very fun pickled garlic scapes – all from forty-four garlic plants. I would love to hear from you. I respond to all questions, comments or requests. Please click on the orange circle to the right below to leave a comment and your contact info. Thanks! care to share your pickeled scape recipe?? 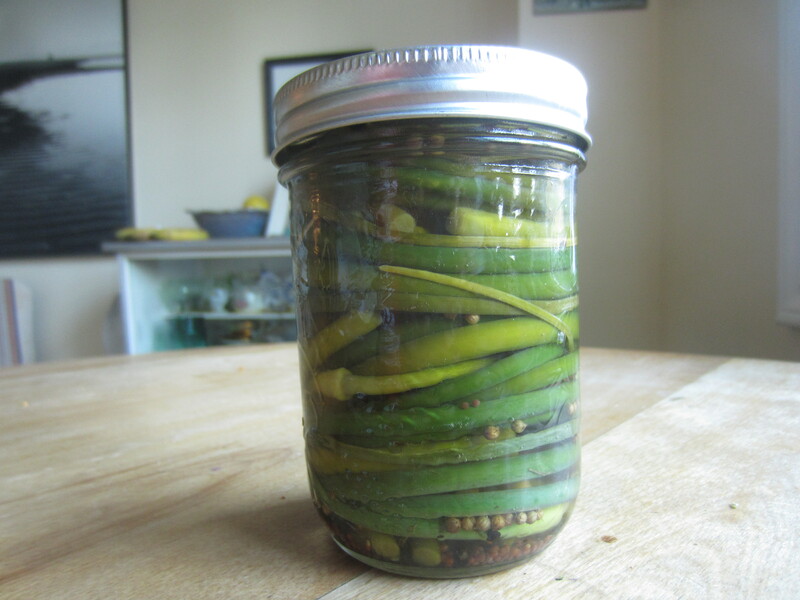 The link is in the post – just click on the word pickled. 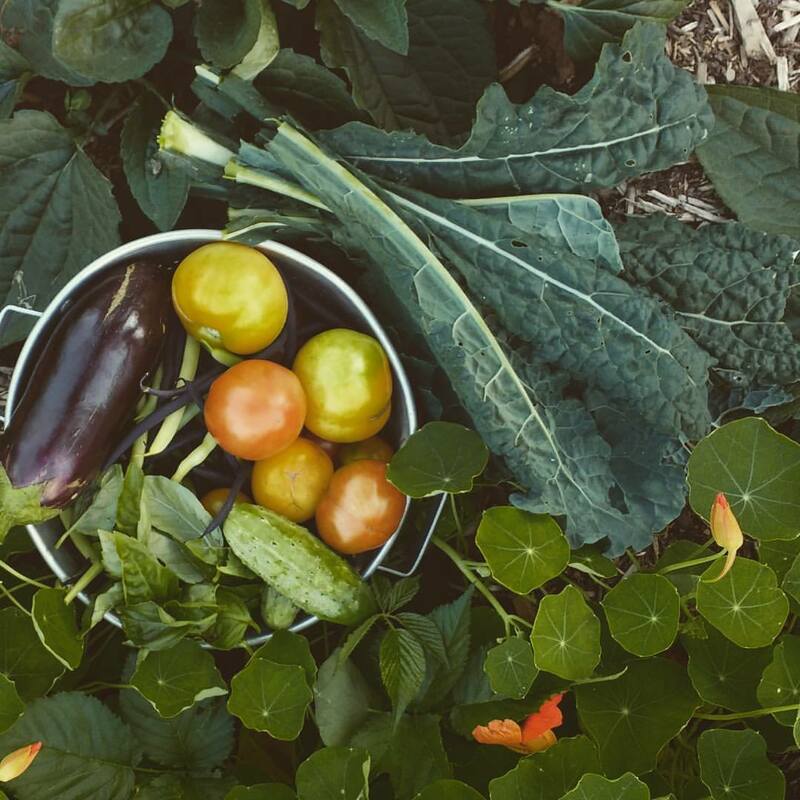 I would love to include my recipes on the blog, but time doesn’t allow it quite yet, so linking out will do for now. thanks, Leah!